Looking for that deep, throaty sound for your car or truck exhaust? Look no further! Magnaflow GlassPack Mufflers are the best muffler you can find to provide that smooth, rumbly tone. 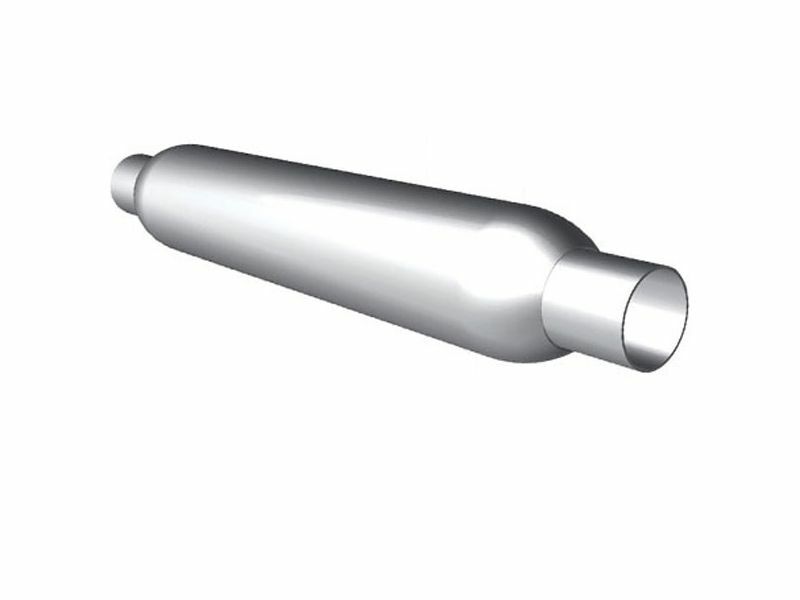 These mufflers have a free-flowing design with a straight, perforated core. Magnaflow uses a non-fiberglass acoustic packing material that ensures your muffler will have a long life without any degradation of sound. You can have a professional install one of these great mufflers or if you want to hone your skills, you can install your new muffler at home. Make your car or truck the center of attention when you're out cruisin' by adding a GlassPack muffler today! The manufacturer warrants that all Magnaflow Performance glasspack mufflers are free from defects. The warranty is void if the muffler is not installed properly on the vehicle for which it is designed. This warranty does not apply to any muffler which has been installed on any commercial or racing vehicle or which has been improperly installed, altered, or subjected to misuse or damage from accidents. Also, cost of labor and any additional parts required to complete installation of a replacement muffler are not covered by this warranty. The warranty certificate, along with proof of purchase, MUST be presented to the service outlet from which you originally purchased the muffler, or any participating dealer, when making a claim for replacement. The original muffler must also be returned and exchanged for a new muffler of the same part number. No other warranty, expressed or implied (including merchantability), applies to the mufflers, nor is any person or the manufacturer authorized to assume any other warranty. The manufacturer does not assume any responsibility for any consequential damages occasioned by the muffler, or inconvenience or interruption in any operation. MagnaFlow GlassPack mufflers can be installed at home with the right tools. Cutting and weld is required. For additional information please call us at 1-866-309-1907 or 701-253-5906.